Abu Dhabi may not have the skyline that Dubai is able to boast, but that in no way means there are no iconic structures that represent the nation's capital. The Sheikh Zayed Mosque is, of course, the most recognisable structure. There is also the so-called Dirham building, the circular Aldar structure in Bandar. Finally, there is Hyatt Capital Gate, the iconic architectural wonder that leans 18 degrees! 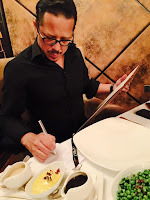 It is this phenomenon that their signature restaurant, Eighteen Degrees, subtly rebranded as I am sure you have noticed from the name, is named after. One of the city's top Mediterranean restaurants has just undergone a conceptual change, and as I sit down to try it, the question in my mind is to what extent the new Eighteen Degrees surpasses its predecessor. The first obvious departure from the old menu is that the Mediterranean focus is more concentrated now. It features dishes from the coastal regions of Italy, Spain and France. 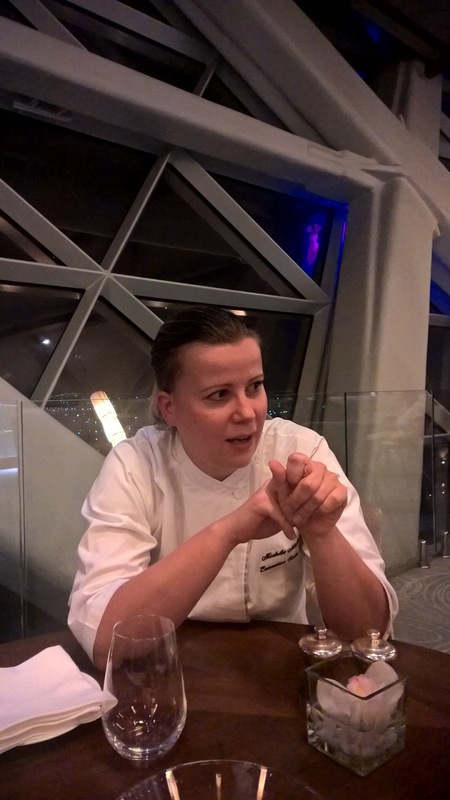 As I sit down with the hotel's Executive Sous Chef, she explains that the other noticeable change will be the sharing concept that the restaurant has embraced. As she explains, I look at the menu and am also amazed by the prices. With cold cuts starting at 20AED and a risotto at 60AED, for example, I am pretty sure that you will share my feeling of amazement, especially if you had been to the old restaurant where dishes were often in the 200AED range. And what about the dishes? Octopus in paprika on a bed of potatoes is packed with intensity. 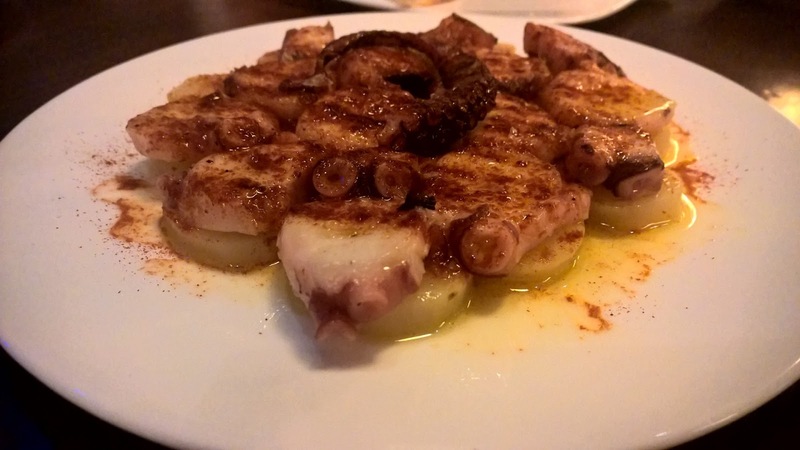 Octopus that is nicely cooked, with a delightful texture will surprise you for its lack of rubberiness. Intense, but balanced. 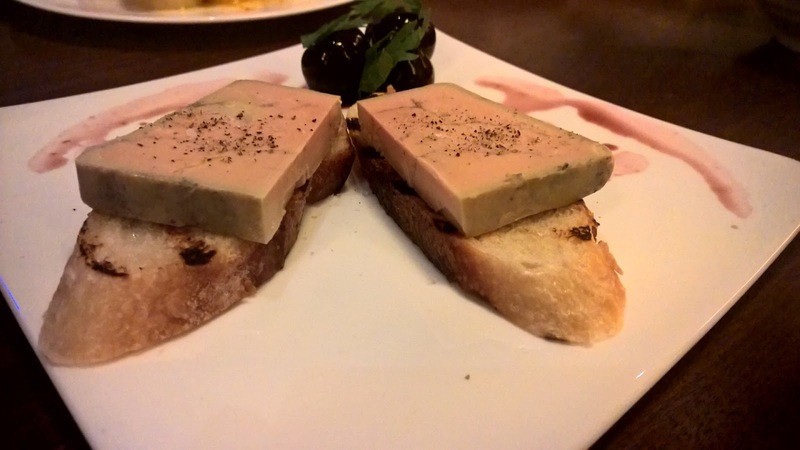 An early favourite is the Foie gras, served as a terrine, rather than my usual preference as seared foie gras. For me, the key is the temperature of the foie gras - this cold terrine spreads easily. But the winning aspect is what accompanies it. Chef has gone with cherries to provide some sweet sourness, and it works so well. Cherries - why has no one thought of it before on local menus? 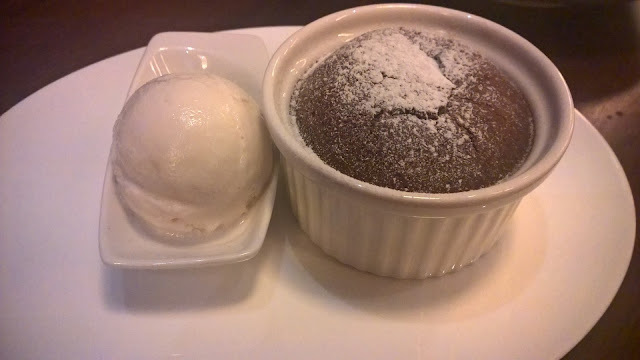 To aid the sharing concept, the formal china that marked the concept of the previous restaurant has made way for black slate-like plates and cast iron pans - it is about relaxing. Nice. 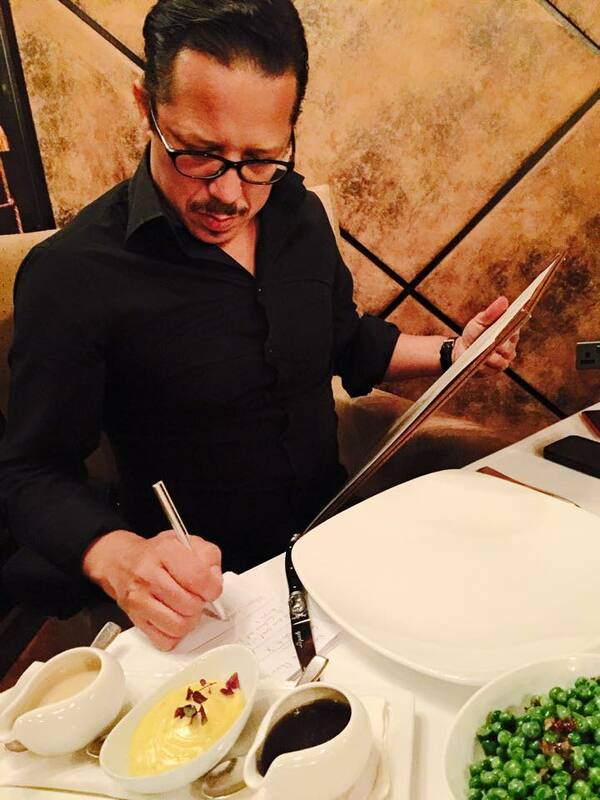 Service has always been an undeniable strength at Hyatt Capital Gate and this restaurant itself. Eighteen Degrees has prided itself in its diversity among staff since opening, and this continues. Staff with whom you can have a conversation and who are able to offer insights into wine remains a niche in restaurants in Abu Dhabi. But on my visit, I have the pleasure of meeting some of the new staff who will undoubtedly enhance guests' experiences at Eighteen Degrees. 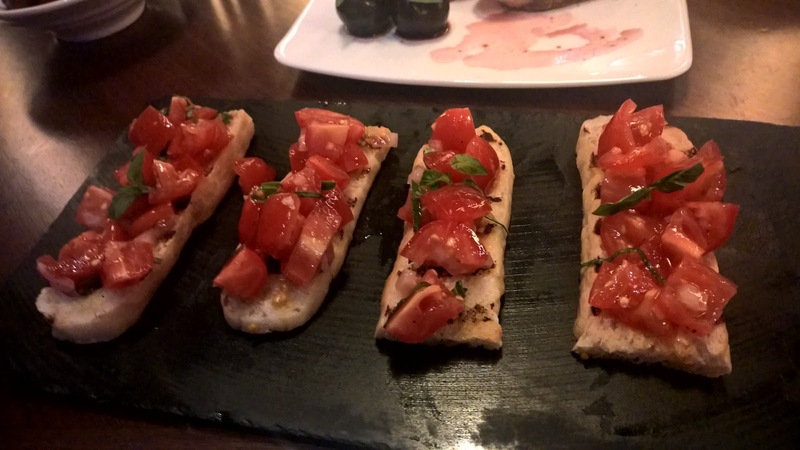 I then try the Bruschetta - a simple dish that is elevated by the flavour in the tomatoes and brioche that it has just the right level of crunch and crispiness. Bruschetta is, after all, more about how to bring to life the components on the bread! 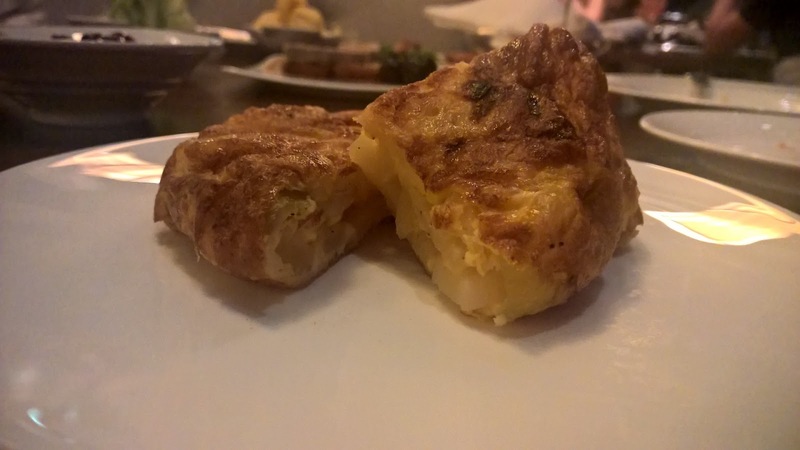 Moving on to the Spanish tortilla - one word works to describe this dish. Homely. It is the kind of dish that you could have in a small kitchen somewhere in Europe. It has that 'I could make this at home' feel to it. Well, not me, but someone like Chef! 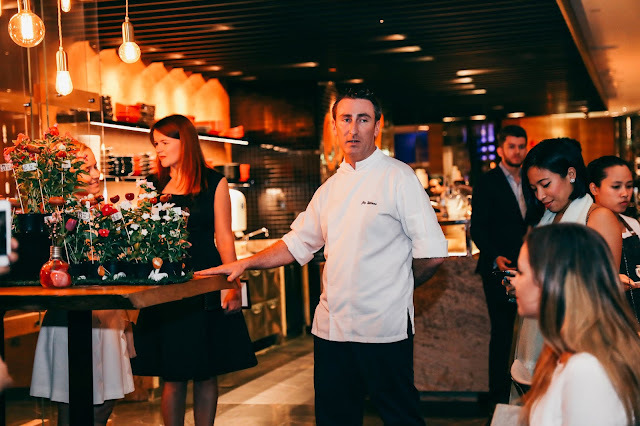 Important for the overall success of Eighteen Degrees is taking the exquisite restaurant, with its high-end feel, and adding cosmetic changes to bring it in line with the lower prices and sharing concept. I will certainly look for this on my next visit. The thing about sharing, for those who have not yet warmed to the idea, is how conducive it is to conversation. It is never only about food. Conversation flows effortlessly from the dishes that are tried. Conversation starters, if you will. 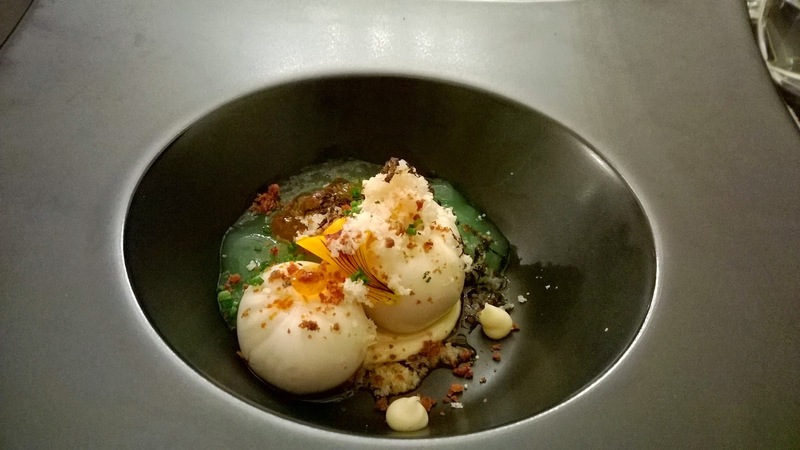 Gone is the sterile 4-course meal that characterised the old concept. I am excited. I have used the word 'simple' or 'homely' a few times in talking about the new dishes. 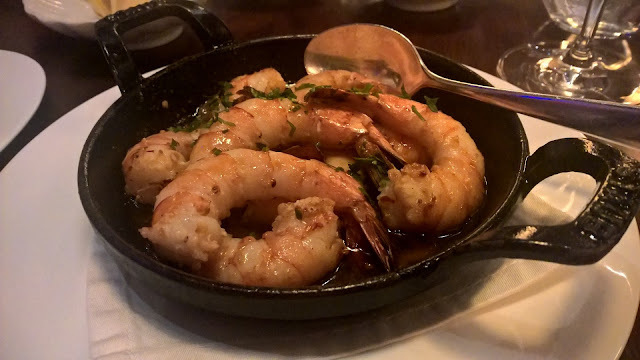 This is also true of the Prawns, cooked simply in garlic and olive oil. It is fragrant, tasty and importantly, the shrimp is not over done. Another winner surely. I said that my early fore-runner for the best dish was the Foie gras. The overall accolade has to go for the Scallops. I like the way Chef has brought a Spanish flavour to it by adding chorizo. Imagine the crispy, hot and spicy chorizo balanced by the tender, moist and mildly sweet scallop...superb. Trying new menus is generally about feedback. There were one or two dishes that were very much works in progress, but by the time you try the new menu, you will be immensely pleased. Finally, I have the Beef short rib, glazed with quince jelly. As with the Foie gras, I am impressed that they have gone with an unusual ingredient in quince. The last time I had this fruit was when I was about 13 years old! 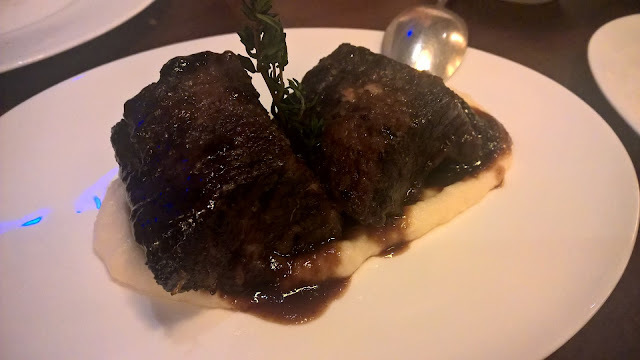 Robust on the outside and tender inside, the short rib which sits on a layer of parsnip puree is a fitting way to end my journey. incidentally, this is my daughter's favourite dish on the night! Eighteen Degrees, with its relaunched concept, will now be able to do what the old restaurant was generally challenged with - getting more residents to come to the restaurant, despite what is often described as a challenging location - something I could never really understand. For money-conscious Abu Dhabi, Eighteen Degrees is the perfect antidote. 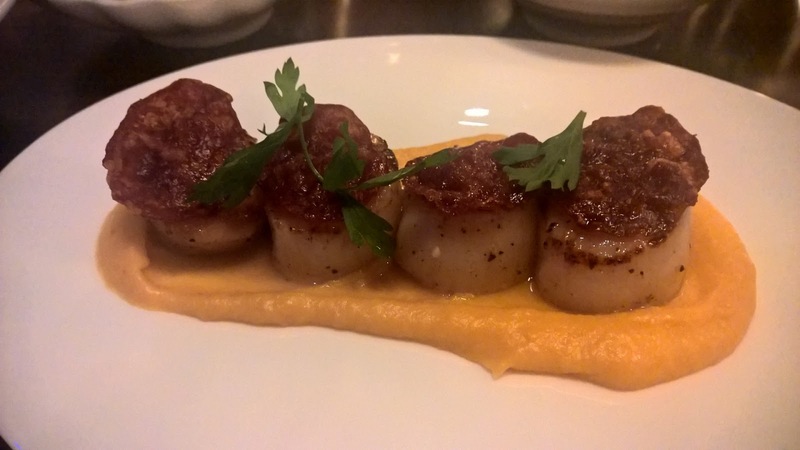 A night out that costs under 180AED including a glass of wine at a gorgeous restaurant? And when you go with friends that drops significantly because of the sharing concept. Very nice indeed. But it is also about the food of course. The focus on three key regions will find a home with many diners. I for one, am much more enamoured with this approach rather than the previous concept. Eighteen Degrees, so long a favourite with critics, should be loved even more now. Disclaimer: I am hotel and restaurant writer based in Abu Dhabi. I was at the restaurant by invitation.